Vistra Energy issued the following announcement on March 27. Vistra Energy (NYSE: VST) supports legislation to be filed in the Illinois General Assembly by State Senator Michael Hastings and State Representative Luis Arroyo, which the company views as a visionary and comprehensive transition plan for its subsidiaries' central and southern Illinoiscoal plants. The Illinois Coal to Solar and Energy Storage Act of 2019 will help mitigate the uncertainty surrounding these power plants and the impact to its employees and communities in which they operate. It will also spur substantial investments in new renewable energy and battery storage projects across Illinois and sustain otherwise uneconomic generation for five years while allowing time for additional capacity to come online. Currently, as much as 75 percent of Vistra's subsidiaries' downstate generation capacity located within MISO Zone 4 is at risk of closure by the end of 2019 due to a number of factors. Vistra's subsidiaries' nearly 5,500 megawatts of generation capacity accounts for 40 percent of MISO Zone 4's summer capacity. Closing all of these at-risk plants later this year could have significant and detrimental impacts on workers and their families, communities, grid reliability, and power prices. 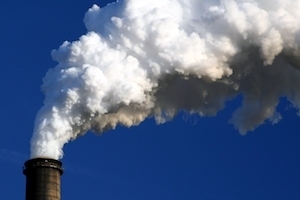 "There are many challenges to operating power plants in Illinois, from longstanding and unresolved capacity market design flaws to delays in regulatory updates and other economic pressures, including approval of the revised Multi-Pollutant Standard that is critical to the proposed legislation," said Curt Morgan, president and CEO of Vistra and its Illinois subsidiaries. "This bill establishes a reasonable and achievable path to transition existing coal power plants to renewable sources of utility-scale solar and energy storage that help meet the state's evolving energy goals. Importantly, this legislation will also allow for the transition of jobs and support the economies of impacted communities while leading to significant reductions in power plant emissions – most notably greenhouse gas – something Governor Pritzker has made a priority for my home state of Illinois," added Morgan. Redevelop downstate coal plant sites into utility-scale solar and energy storage, resulting in approximately 500 MW of new, renewable generation. The new facilities must be commercially available between 2021 and 2022. Help meet Illinois' commitments to emission reductions and the Paris Climate Agreement by reducing Vistra's subsidiaries' total fleet emissions by 75 percent from 2005 levels by 2030. For each megawatt of new utility-scale solar and battery storage installed at existing coal plants, five times as many megawatts of existing coal-fueled generation must be retired by 2030. Increase grid stability, reliability, and renewable resources through energy storage. Stand-alone energy storage would be built at existing coal power plant sites that cannot be repurposed into utility-scale solar generation. Responsibly retire existing downstate capacity by keeping otherwise at-risk plants online through 2024. This provides sufficient time for new renewable generation, transmission, and energy efficiency projects to materialize while also providing more stability for grid reliability and power prices. Provide an orderly transition process for energy workers and plant communities. Reinvest in downstate plant communities and support local business property tax base by continuing to operate on the existing plant sites with new renewable assets, rather than simply retiring and closing coal plants. Vistra's leadership has expressed a desire to create a sustainable business model in Illinois, though its subsidiaries cannot continue to operate uneconomic plants. This bill calls for reusing Vistra's robust footprint of land and transmission access at current plant sites to reduce costs and time of deploying utility-scale solar and energy storage across the state. The legislation would help Vistra's subsidiaries to bring these technologies to Illinois just as they have brought them to other parts of the country. Vistra has established itself as a leader in solar and energy storage by developing the largest battery energy storage system in the world, a 300-MW/1,200-MWh system in Moss Landing, California. The company also operates the seventh largest battery in the nation which sits on the site of its 180-MW Upton 2 Solar Power Plant, the largest operating solar facility in Texas. The company has launched a website at www.renewillinoispower.com to further explain this bill and its position. Want to get notified whenever we write about Vistra Energy ? Next time we write about Vistra Energy, we'll email you a link to the story. You may edit your settings or unsubscribe at any time.